Noven Belleza wins 'Tawag ng Tanghalan' 2017: Watch His Final Performance - Balita Boss! 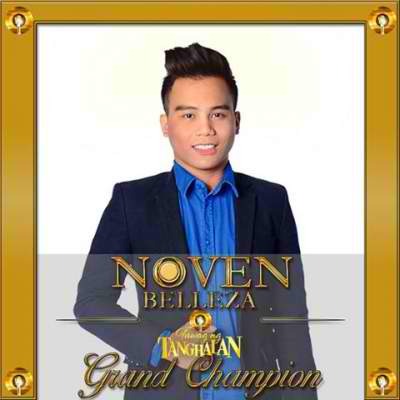 Noven Belleza, a farmer from Negros Occidental has been named the grand champion of "Tawag ng Tanghalan" after garnering 99.96% average score from the viewers text votes and hurado’s scores. The grand finals was held at Resorts World Manila, Pasay City on Saturday, March 3. Belleza sang ‘May Bukas Pa’ on Tawag Ng Tanghalan Grand Finals ‘Ang Huling Tapatan’ Episode to book his place in the top three. For his final 3 performance, he performed a medley of “The One that You Love,” “Now and Forever,” and “I Can’t Live” by Air Supply. As a grand champion, Noven will bring home Php 2 million cash prize, a recording contract under Star Music, a brand-new house and lot from Camella and a music package JB Music.